This post brought to you by Puerto Rico, The All-Star Island. All opinions are 100% mine. I have a hankering for all things exotic, but the funds just aren't in the budget right now to head abroad. So, what's a girl to do? Head to Puerto Rico of course. The Puerto Rico Tourism board has recently partnered with TripAdvisor to take visitor's 5-star reviews, and turn them into short films narrated by Puerto Rican stars. Puerto Rico is the perfect location if you are looking for an exotic local that can be reached without a passport. With so much to do and see, there are activities available, regardless of what type of travler you are. If you're like me, adventure activities are always on the top of your list. In Puerto Rico, you can zipline high above a forest canopy with EcoQuest Adventures, drive an ATV through rain forest trails with Tropical Trail Rides, or take a Tandem Flight over the coast with Aventuras Borincanas. If relaxing on a white sand beach with a cold drink in your hand sounds like your idea of a good time, Puerto Rico has more than go you covered. 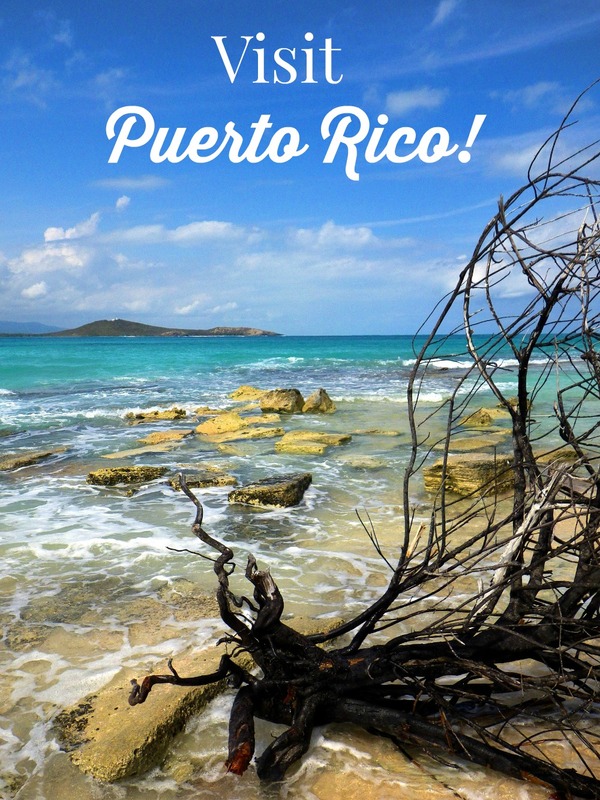 Puerto Rico features 270 miles of coastline, and has some of the most beautiful beaches in the world, including Flamenco Beach, Carolina Beach Park and La Monserrate Beach Park. Whether you're into fine dining or roadside stands, the foodie in you will rejoice in Puerto Rico. The local food is an eclectic combination of Spanish, African and Taino cultures. Visit during Saborea, Puerto Rico's largest annual food festival, or embark on one of the many food tours offered in the area, for an experience your taste buds aren't soon to forget. Do you love to explore the great outdoors? If so, Puerto Rico is the place to do it. With 14 state forests, including El Yunque, the only sub-tropical rainforest in the United States, Puerto Rico has a bounty of experiences to offer nature enthusiasts. There is even a rare and unique opportunity to be had when visit the bioluminescent bays, only a few exist in the world, and Puerto Rico has three of them! No matter what kind of traveler you are, Puerto Rico has the perfect mix of ingredients to help you bake up the perfect 5-star vacation. Live your own 5-star vacation story in Puerto Rico. Be sure to Like SeePuertoRico.com on Facebook and Follow @PRTourismCo on Twitter for the latest news and promotions. I totally want to explore that rain forest. It looks like such a fun adventure! And really everything you mentioned sounds like it's worth doing! My home land is just so beautiful. I would love to visit there soon. My step son was able to visit when he was high school. He said it was beautiful. Puerto Rico looks so lovely. It is on my bucket list to travel there. I would love to visit Puerto Rico someday! I am a big fan of tropical destinations like this and would really enjoying exploring different authentic Puerto Rican street foods. I'd so love to go there with my husband someday! I'd love to visit Puerto Rico. I've never been but my parents have. They said it's gorgeous there.